For more than a decade, Rav Doniel’s open and compassionate teachings have been a catalyst for change in the lives of thousands of people worldwide. 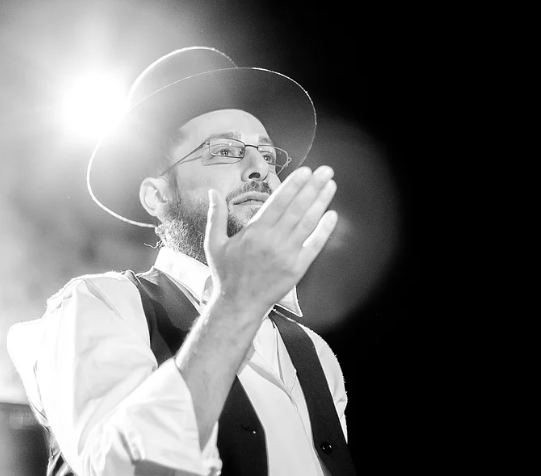 Born and raised in Australia, Rav Doniel abandoned his award-winning film and theatre career in his mid-twenties after a year of intensive spiritual awakening. Exploring many wisdom paths and traditions in search of deeper clarity to explain his experiences, he was finally led to Jerusalem in 2000. Since then, he has spent nearly two decades immersed in the world of Torah and Kabbalistic teachings, learning from some of the city’s great rabbis and spiritual masters. Rav Doniel has lectured extensively around the world for the last 10 years, during which time he was also a faculty member at Neve Yerushalayim and Aish HaTorah in Jerusalem. In addition, he spoke at a 2015 symposium on science and the meditational tools of Abrahamic traditions at the Mind & Life Institute in Massachusetts; was invited by the Chief Rabbi of South Africa to speak at the Sinai Indaba conference in Johannesburg and Cape Town, during which over 5000 people attended his Elevation sessions; and presented at the 2016 Wisdom 2.0 conference in Tel Aviv.